12 years ago, the jailer threw a roll of TP at my face and slammed the cell door. This was my second time, in the same cell, in 14 days. This time I didn’t resent the jailer, society, or my soon to be ex-wife. I didn’t protest that I’d had two successful businesses, a Master’s degree from University of Chicago, and did not deserve to be there. I had accepted that I was in the place I belonged: away from my 10 gram a day crack habit, alcohol abuse, and my valium and opiate addictions. I was away from a car that I could have killed someone with; away from my children who I could have injured in my haze; away from the society to whom I had become a danger. I was born, like all of us are, with a full heart and complete soul. Quickly, I became fractured and found that alcohol and drugs were the only things that filled a god-sized hole in me. I have a dis-ease with life on life’s terms. Since November 10, 2006, I’ve had to fill that hole in my heart with something other than drugs. I was on a long path of learning self-love, so I could be of service to others and become a functional adult. 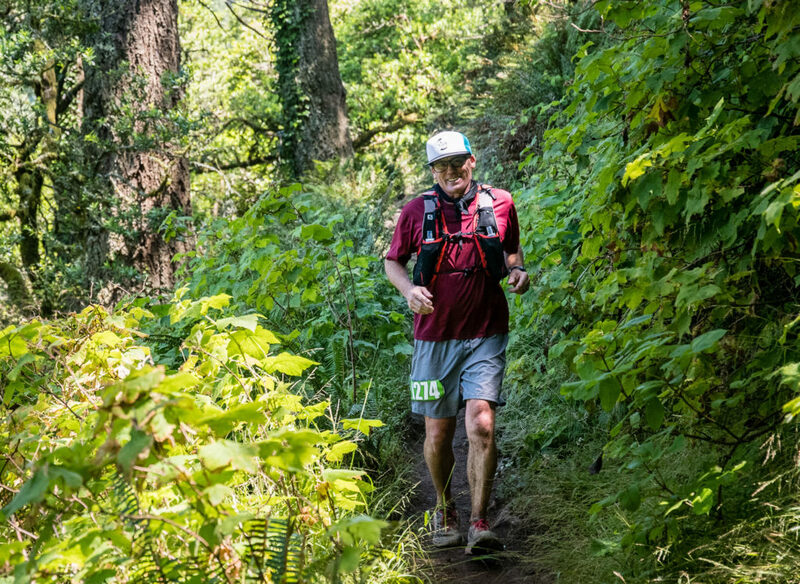 After 7 years of continuous sobriety, I took up trail running and ultramarathons – following the example of my badass sponsor. For me, being of service to the trail community, long solo runs, races, and the camaraderie of the ultra community all fill the void that drugs once tried to fill. When I push the limits, when I’m alone in the hills and want to quit, there is a force greater than me, that propels me to the next level. Running is my prayer; running is my meditation; running is a way towards something greater than me that fills that hole inside, that gets me through the long overnight races, and that finally gets me across the finish line. You can find our podcast on itunes, stitcher, spotify or your favorite podcast app. We appreciate you subscribing and rating us, THANK YOU! ← Episode 6 Lucy Bartholomew: Being Authentic, Growing up in Ultras & Recipes!